If you were asked to picture a face, what kind of a face would you picture? When we are asked to imagine something, most of us will pluck something old and familiar from our memories – faces and places we know well. Memories are the roots of our imagination, and we can trace so much of what we picture back to what we have seen before. However, some artists have always been dissatisfied with this. They were not happy recreating the things they saw in the world. Even when their artistic processes made these objects almost unrecognizable on the canvas, they were still rooted in the world. These artists were looking for an artistic rootlessness. They were looking to create something which lacked those roots of conscious thought and memory. They were looking to go a bit deeper, to find and paint what was in the unconscious mind, what lacked a counterpart in the real world. Trate, Cabal, 2018, Oil on Canvas, 90cm x 50cm. Courtesy the artist. Three of those artists are particularly compelling. Self-taught Canadian figurative artist Trate paints faces he has never seen. 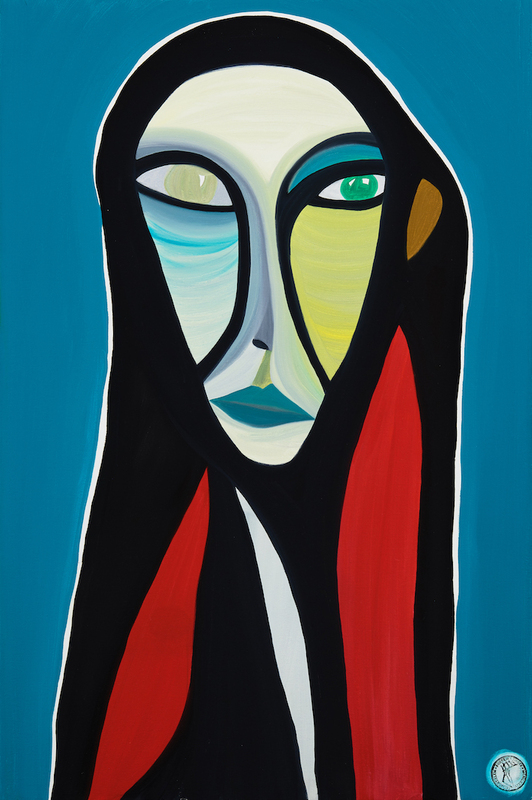 Russian expressionist Alexej von Jawlensky’s Meditations repeat the same abstract form and vary only in the colours. London-based British artist Andrew Bick reproduces the same grid system with endless permutations in his work. Trate’s new collection Emotive Brutes will soon be on display at Trate Studios. He makes no preparatory drawings and avoids almost all kinds of non-personal source material. Instead, he stands in front of the canvas and paints with his intuition. The faces that emerge are startling, and extraordinarily expressive. His aesthetic is ethereal and childlike. Distinctive colour patterns are layered with traceable brush strokes to create the evocative figures, whose deformed and abstracted upper bodies are cut into by thick swathes of paint. 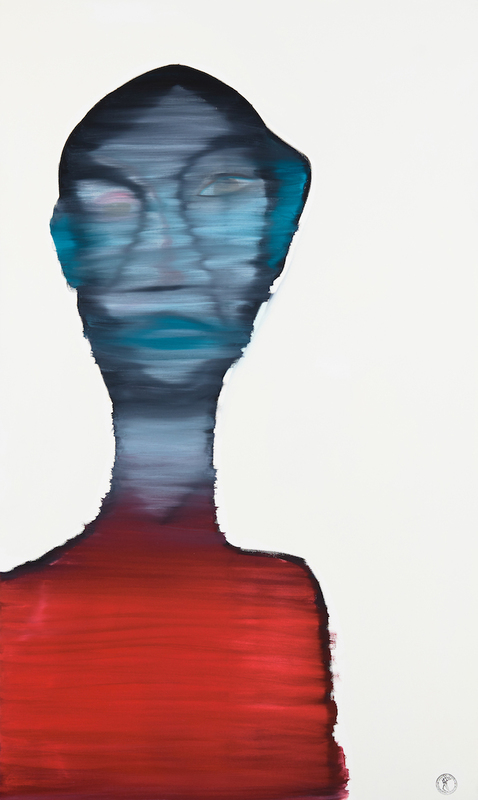 The faces are created by reimagining facial traits and then layering them in the same way; furrows of paint trace strange expressions that somehow don’t seem quite real. Trate, Metamorphose, 2018, Oil on Canvas, 150cm x 90cm. Courtesy the artist. The figures are rootless and disassociated. They are not quite haunting or unpleasant, but the piercing eyes and determined expressions speak of something troubling and conflicted in ourselves. By painting the figures by intuition and with no complete image in mind, Trate has somehow managed to capture a sense of the incomplete – what we feel when we lack the means to express it, when our feelings have no roots in the world. Something which can’t quite be expressed, but is immediately understood when looking at his paintings. Ironically, this manner of painting has deep roots in the art world. Alexei von Jawlensky (1864-1941), interested in the same emergent elements of painting, was deeply concerned about the representation of a metaphysical, spiritual, rootless universality. Throughout his career, the artist continuously laboured to untangle his representations of landscapes and faces from their earthly roots. 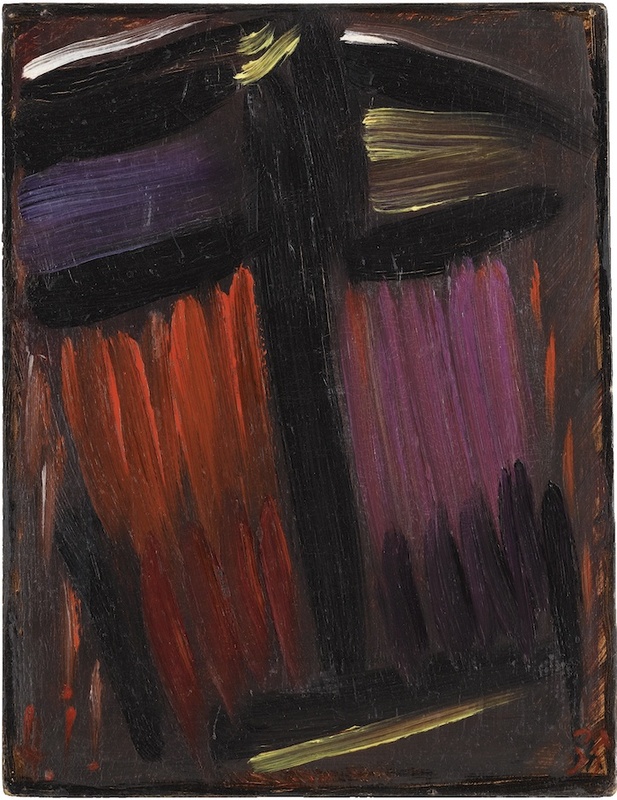 In his Meditations, composed in his final years (1934-1937), von Jawlensky reached the peak of his artistic career. The lines are heavy, and almost brutal in their uniformity. Each face retains the same basic features with almost no contours beyond the lines extending out from the centre to mark the mouth, nose and eyes. He stated that the Meditations were ‘only spoken with colour’ and upon viewing them, the statement appears remarkably accurate. By consistently using the same repertoire of form, von Jawlensky manages to vary the intensity of expression remarkably by using different colours and brush strokes. Each meditation differs strongly from the other pieces yet retains the same broad geometrical dimensions and forms. In its continuous variation of only certain elements of the painting, Meditations embodies something which was also in Emotive Brutes; a rootlessness expressiveness. 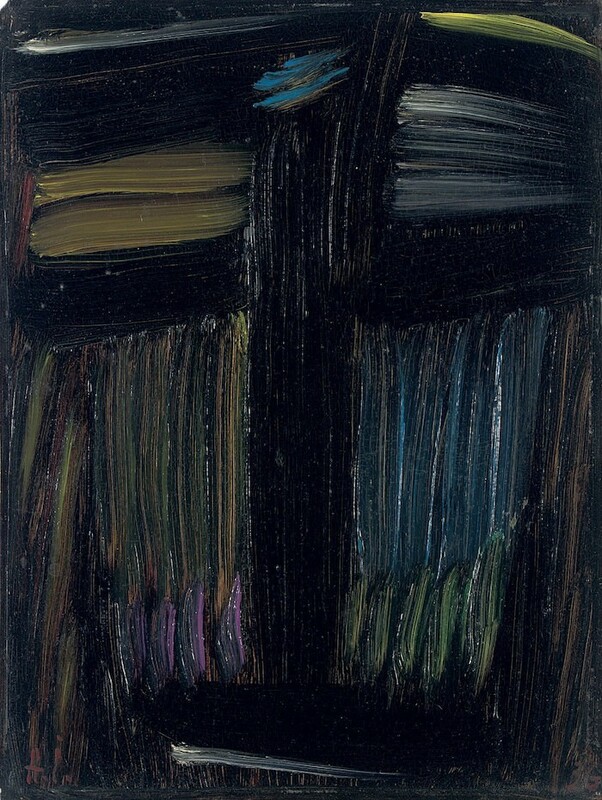 By retaining the same basic abstract form von Jawlensky is moving away from the representational image rooted in memory and experience, and by varying the colour and brush strokes he creates expressions which carry that same slight unreality that those inexpressible feelings do. 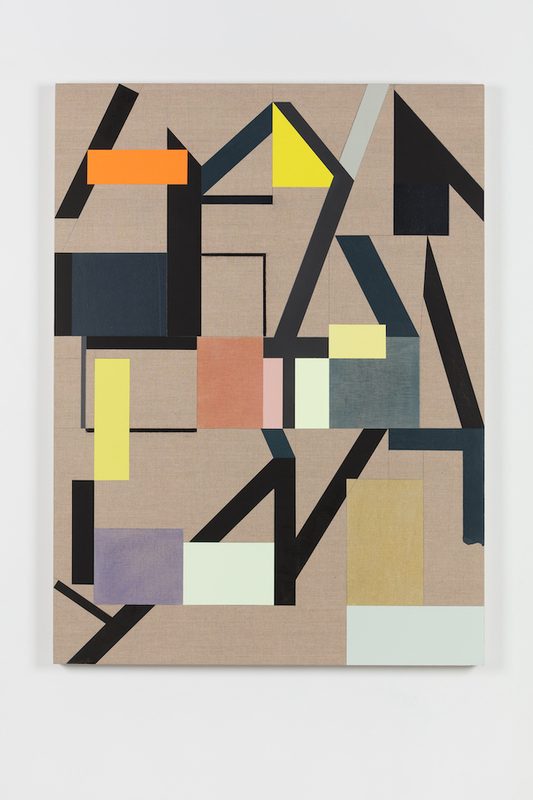 Andrew Bick, currently exhibiting his sixth solo show Concrete-Disco-Systems at Hales Gallery, has taken this repetition of a fundamental form to new heights. At the core of his practice is a grid system he has continually reproduced since 2008, when he copied it from one of his artworks and digitised it. He has since used it as a starting point for all of his paintings. This is reminiscent of the Meditations, but Bick has taken it in an entirely different direction. Instead of varying the colours and brush strokes but retaining the form of a face, he both retains and disrupts the form at the same time. The grid system, the roots of the painting, are present at the starting point. But with each of his paintings, Bick creates another permutation of this system. Each one twists the roots in a different way. A key feature of his work is this repetition of banal information, to create a system only to disrupt it. His belief that ‘disruption within a system helps us relearn the process of paying attention’ is highly visible in the paintings. They blend the comfortable familiarity of the grid with a spatial complexity created out of an array of materials, drawing the viewer into the painting and inviting them to ponder its restless, internal arguments. 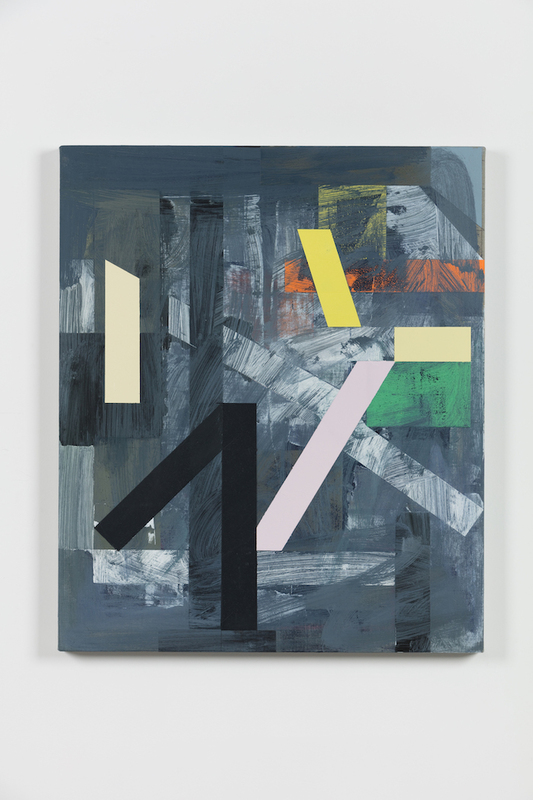 Bick’s work is playfully unresolved; its roots are present in its systemic nature, even highly visible, but are at the same time untangled, pulled up, and realigned in the spatial configuration of the painting. Like Trate and von Jawlensky, it speaks of very particular and unexplainable feelings. Ones which cannot quite trace their roots anywhere, and can only be expressed in the ways that these artists have. Emotive Brutes will be exhibited at Trate Studios 7 Feb – 2 Mar, open Thur – Sat 12pm – 7pm. Concrete-Disco-Systems is on display at Hales London 18 Jan – 2 Mar, open Wed – Sat 11am – 6pm. It is a chance for all the people who love art to be thrilled, to find a sanctuary for those inexpressible, rootless feelings.